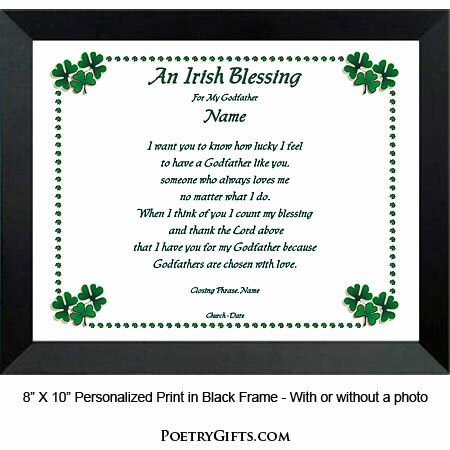 What a lovely way to honor a Godparent with this whimsical shamrock design with personalized Irish Blessing. 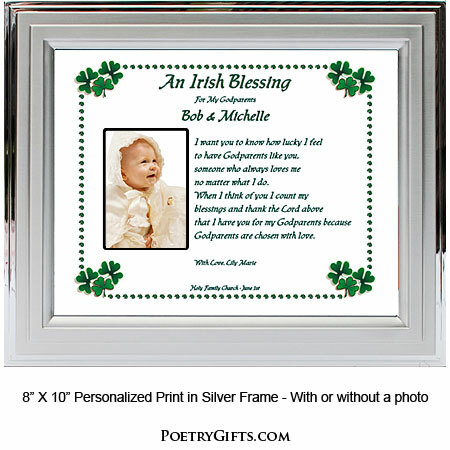 Wonderful baptism thank you gift or a birthday keepsake for Godfather or Godmother. 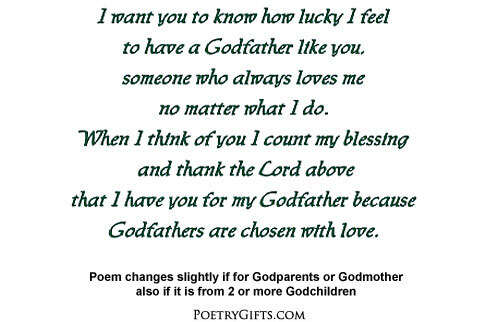 The sentiment expressed in this Godparent Poetry Gift is so touching, no wonder it is a best seller! 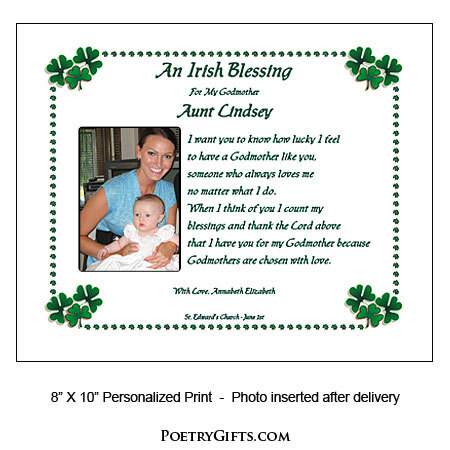 It truly is the perfect Baptism or Christening "thank you" gift for a Godfather or Godmother. When the poem is personalized with names, date, church, etc. it will truly be a gift that you will be proud to give. Add a photo of the Godchild and Godparent and it will surely become a treasured keepsake that the Godparent can display on a table or desk. It will be a constant reminder of your child's love. 5. Optional Closing Phrase and Godchild's Name(s): I Love You, Allyson Marie; Love Always, Matthew Thomas & Christine Noelle; etc. Thank you so much for your help and ensuring the gifts arrived in time. The Godparents were so excited with all the personalization. The celebration was a success and I thank you for your assistance.